Except in some very traditional niches, like education and the law, resumes and transcripts are relics of a pre-social media past. Students and employers already know this, and universities who understand how employers search for employees are ahead of the game. To the students in our non-traditional programs, mostly millennials, everything you need to know about a person can be found with a simple Google search or brief glance at a LinkedIn profile. Analog documents, especially inconsistent and often unintelligible university transcripts, are useless to all but other higher education institutions. Yes, many employers don’t know the difference between a BA or BS, and they certainly couldn’t tell you what a student did to earn that C in Dev Sys Thn II. 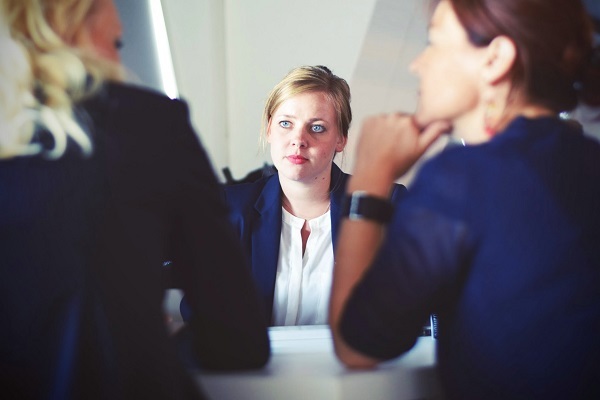 Employers we work with increasingly want assurance that their employees are competent—that they have the knowledge, skills, abilities and attitudes to get the job done. And in a world where technology is constantly changing, they look for cross-cutting skills such as relationship building and decision making that are rarely reflected on a college transcript. 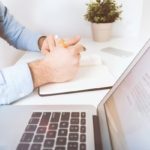 The “T-shaped” employee—one with both depth of technical skills and breadth of leadership or interpersonal skills—is poorly communicated by documents that show only a few data points: degree, major and GPA, which can be largely unrelated to the potential future success of an employee. 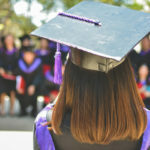 Employers are forced to make hiring decisions on the basis of perceptions that may or may not be accurate: the reputation of the school, the perceived difficulty of the major, and the faith that grades in a certain course are related to the competencies that the job requires. To make hiring choices, employers are looking beyond the academic transcript to social media bios that relate experiences such as internships, foreign travel, work products, and team memberships. Digital badges are slowly becoming one way that universities show competencies that employers want. In our university, one way students earn badges is by demonstrating competencies in a one-day simulation of workplace challenges. Valid and reliable behavioral assessment measures ensure that the badge has meaning; a true demonstrated action is behind the badge. Students are awarded the badges in our LMS, and can link them to their social media profiles or public web pages. Behind the badge is a digital file that describes what the student demonstrated to earn the badge. In more traditional competency-based courses, we award students badges based on demonstration of the technical skill or knowledge required by the course (for example, solving calculus problems or development of a research plan). 1. Visual: Badges communicate competencies in a picture that can be shared easily in social media, the place most employers look for candidates. 2. 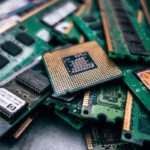 Verifiable: Almost limitless data can be “behind” the badge, allowing employers to dig into artifacts and proof that students achieved the competency. 3. Leveled: Our badges communicate various levels of achievement with clear indicators for each level. Grades can be achieved in many ways (tests, extra credit, attendance, papers, to name a few) but badge levels are linked to rubrics with specific, demonstrated levels of competence. 4. Flexible: Students can design a variety of learning pathways by choosing badges that they or their employers want. Love French literature? 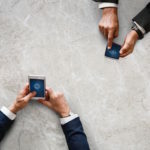 Major in it, and as you do, choose to earn badges in technical or leadership competencies that connect the discipline with other skills employers are looking for. Students can continue to add to their badges with new skills as the market and their own changing goals demand throughout their careers. Both our undergraduate and master’s programs award badges. 5. Rigorous and Challenging: When badges represent demonstrated competencies, not just experiences, they become the currency of education. Badges take the “sorting and selecting” function out of the equation. Students are working for a clearly defined level of achievement to achieve new competencies that they might not even have attempted if it risked lowering their grades. 6. Equitable: A badge represents a demonstrated competency, not a hunch based on the reputation of the school or the personal biases of an interviewer. Employers appreciate that badges remove potential bias and help them find the most competent employee. Of course, our university and and others are grappling with many challenges as we attempt to innovate in this area. While design and technology companies have been using badges for several years, many employers are still unfamiliar with badging and how it can help them. Our corporate partners are more and more excited about badges as they begin to use them for selection and promotion. Students in our programs are coached to explain the badges to those other employers who might not understand what they mean. The communication work of universities, foundations and badging entrepreneurs is working—a search of “digital badge” shows up about 5.4 million hits on Google. Nevertheless, there is work to be done. 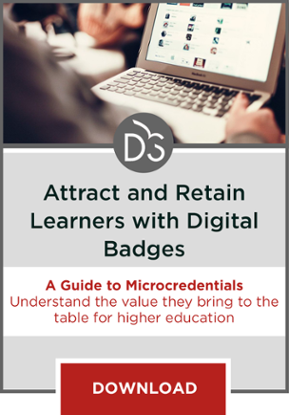 Making the digital badge a meaningful currency requires dialog and collaboration across many entities: universities, foundations, employers, students and third-party badge storage and display providers. Badge issuers must come to consensus on how to communicate the value of badges and badging systems. All of us must continue to listen and talk in our networks to promote the notion that badges can and should surpass the resume and transcript as a way to demonstrate competency attainment.